Both dogs and cats get heartworm disease. Mosquitoes transmit the disease by biting an infected animal, then passing the infection on to other animals they bite. Heartworm disease affects cats differently than dogs, but the disease is equally serious. It only takes one mosquito to infect a dog or cat, and because mosquitoes can get indoors, all pets, including indoor cats, should receive heartworm preventative. Adult pets need an annual wellness exam by their veterinarian to check their health, update vaccines and receive an annual heartworm blood test. Annual wellness exams and year-around heartworm prevention will keep your pet at their healthy best. Please call your veterinarian today to schedule your pet’s appointment. Heartworm infection in apparently healthy animals is usually detected with blood tests for a heartworm substance called an antigen or microfilaria, although neither test is consistently positive until about seven months after infection has occurred. Heartworm infection may also occasionally be detected through ultrasound and/or x-ray images of the heart and lungs, although these tests are usually used in animals already known to be infected. Heartworm disease is preventable! We recommend that all pet owners take steps now to talk to us about how to best protect their pets from this dangerous disease. Heartworm prevention is safe, easy and inexpensive. While treatment for heartworm disease in dogs is possible, it is a complicated and expensive process, taking weeks for infected animals to recover. There is no effective treatment for heartworm disease in cats, so it is imperative that disease prevention measures be taken for cats. There are a variety of options for preventing heartworm infection in both dogs and cats, including daily and monthly tablets and chewables, monthly topicals and a six-month injectable product available only for dogs. All of these methods are extremely effective, and when administered properly on a timely schedule, heartworm infection can be completely prevented. These medications interrupt heartworm development before adult worms reach the lungs and cause disease. It is your responsibility to faithfully maintain the prevention program you have selected in consultation with your veterinarian. Yearly blood work should be performed to detect infections and diseases. This helps us detect disease early. In many situations early detection is essential for more effective treatment. 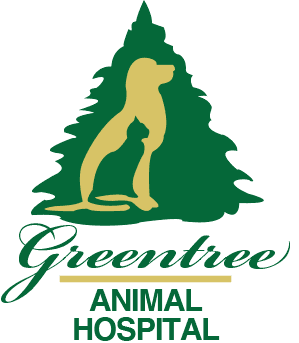 The type of blood work will be determined specifically for each pet depending on his or her individual needs. This is convenient to do at the time of the annual heartworm test, but can be done at any time of year. We recommended your pet be on heartworm prevention for the entire year. It is administered one time per month either by pill or by topical application. Depending on the specific product you and your veterinarian choose for your pet, heartworm prevention medication can prevent other parasite infestations including internal parasites (intestinal parasites) and external parasites (fleas and ticks). Some of these parasites can be communicated to people! A simple blood test will get your pet started.